Congratulate your graduate with an everlasting rose featuring genuine baseball leather petals. 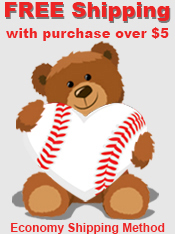 Treat that special athlete in your life with a gift that expresses their love for the game. 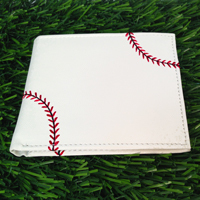 Each petal of the Baseball Rose is carefully handmade from genuine baseball leather to form an unforgettable bloom that will amaze the baseball fan in your life. 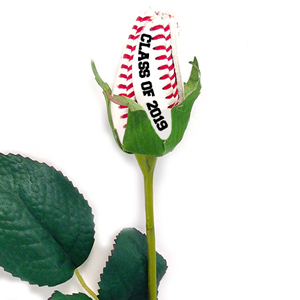 The Class of 2019 Baseball Rose includes a customized "Class of 2019" message printed on one of the petals. For a small additional charge, we can add a personalized greeting to a 2nd petal on the rose. 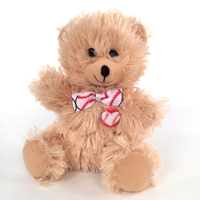 Add a player's name & number, a nickname, or other congratulatory message of your choice. The Baseball Rose will never wilt or die and symbolizes your baseball player's passion for the sport in a way unlike any other gift. From gg of Vardaman, Mississippi on 12/5/2017 . I purchased this for my grandson to give his mother on senior day. I am very pleased with . . .
From Delores Eiklenborg of Dike, Iowa on 3/17/2017 . Love these roses, they will be given to my great niece for her graduation in May or sooner . . .
From Anonymous of Mesa, Arizona on 5/1/2016 . From Nancy Black of Wellington, Florida on 4/9/2016 . This is the second year I have purchased these roses for our Senior Baseball Parents. They . 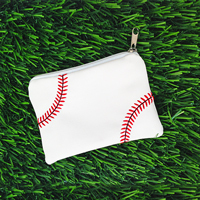 . .
Made from baseball material. 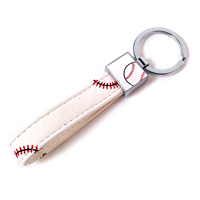 A great gift for baseball fans. 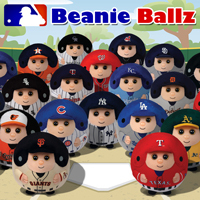 Theme your gift for any baseball team! 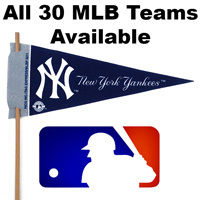 All 30 teams available!